The morning began with a number of keynotes from speakers such as Rob McCargow, AI Programme Lead, PwC UK; Rachel Bale, Vice President, Enterprise Partnerships, Mastercard; and Dr Pippa Malmgren, Founder, H Robotics. There were also research spotlights from Scott Campbell, Director, Lead for Deloitte Ventures and Catherine Wallwork, Head of Innovation, Engagement & Mindset, Deloitte LLP, who spoke about how to adapt in order to thrive in the future world of work. During the lunch break, delegates had a chance to attend ‘soapbox’ drop-in sessions and hear about such topics as wearable tech, online violence and abuse against women; and tech-enabled sponsorship. Attendees were also treated to refreshments and had the chance to meet the conference’s very own robot, Eva the Sanbot. Eva can read every gesture and pose, and guess people’s names, ages and genders with your fingerprint. Delegates had the chance to enjoy drinks and network with sponsors, browse tables and stands of tech-related products, as well as connect with a number of not-for-profit organisations including, Your Future, Your Ambition, WomanKind, Autistica, Women’s Engineering Society, Raspberry Pi, and TechSheCan. Throughout the day, attendees heard about the cyber security, data and privacy, artificial intelligence, FinTech, holographic datasphere. Attendees were also invited to put their questions to speakers during a number of Q&A sessions. Topics ranged from career advice, increasing diversity in tech, flexible working and how to handle gender discrimination. The afternoon consisted of delegates attending their chosen elective sessions to partake in hands-on activities and interactive workshops. 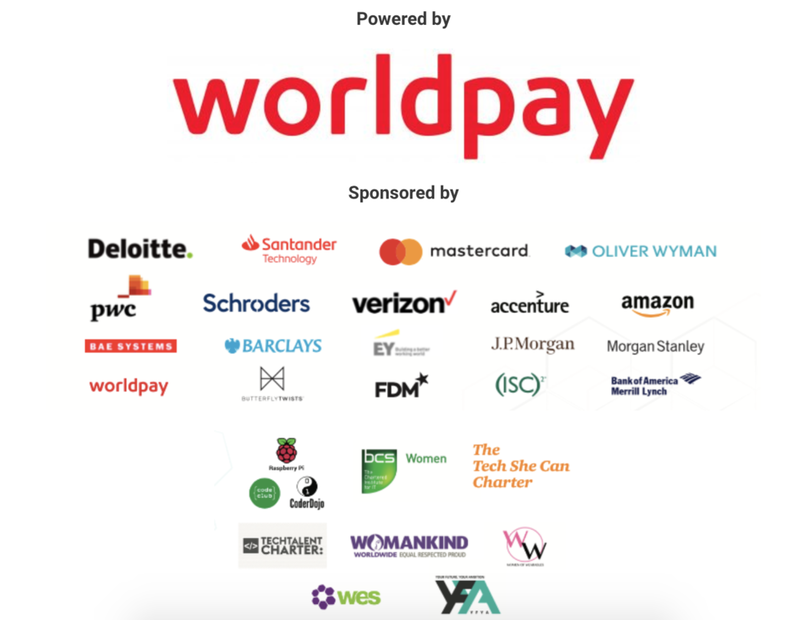 Coding, payments, digital innovation, cloud technology, and diversity were just some of the topics covered within the sessions. 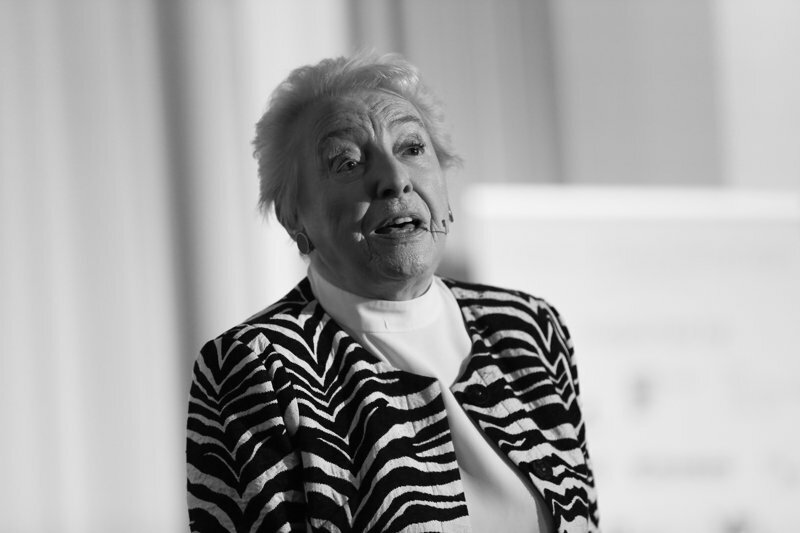 Delegates also had the opportunity to hear from our inspiring speaker, Dame Stephanie Shirley, IT entrepreneur and philanthropist. Having arrived in Britain as an unaccompanied child refugee in 1939, she started what became Xansa plc (now part of the Sopra Group) on her dining room table with £6 in 1962. 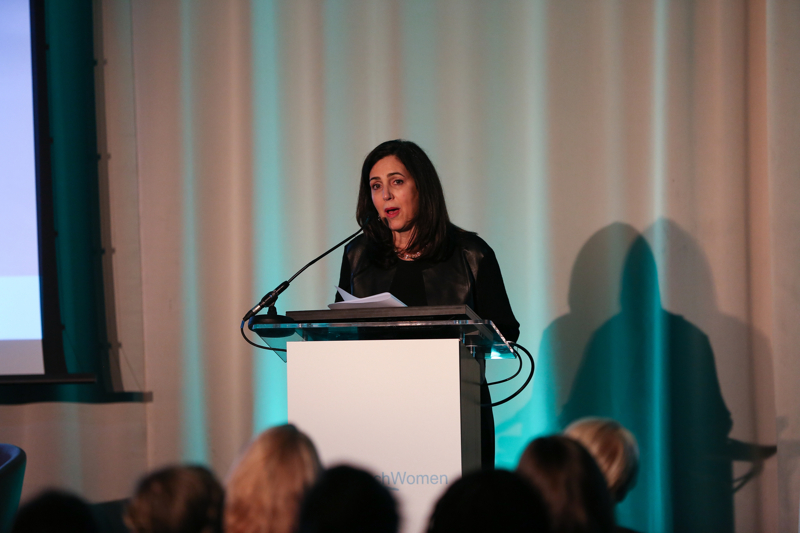 In 25 years as its Chief Executive, she developed it into a leading business technology group, pioneering new work practices and changing the position of professional women along the way. Her Dameship in the Millennium honours was for services to IT. Concluding the event, delegates and speakers alike took part in a speed mentoring session, opened by Vanessa Vallely, Managing Director, WeAreTechWomen, who instilled the importance of mentoring. Speakers and senior individuals joined delegates for an hour of mentoring to discuss career goals and ask specific questions. You can also check out the conference buzz here. See the photo gallery here. This blog was originally published here and written by Alison Simpson. Alison is the Digital Content Editor for WeAreTheCity. She has a BA Honours degree in Journalism and History from the University of Portsmouth. She has previously worked in the marketing sector and in a copywriting role. Alison’s other passions and hobbies include writing, blogging and travelling.